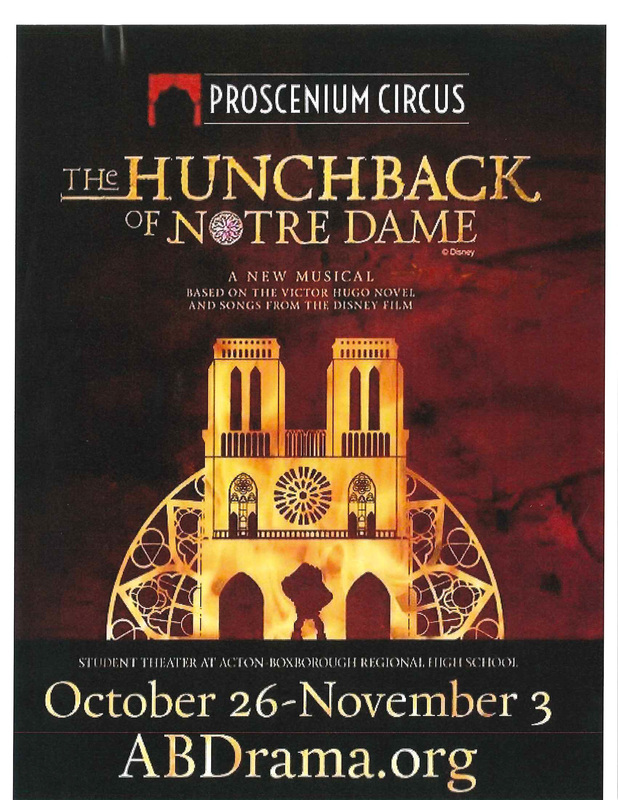 The Hunchback of Notre Dame – A new musical based on the Victor Hugo Novel and songs from the Disney Film. October 26-November 3. For further information and tickets visit ABDrama.org. Student Teater at Acton Boxborough Regional High School. Online Camp Fair Auction? Bidding Ends Monday, January 29th at 8:00pm……It’s not too late! !